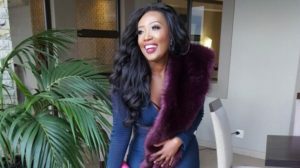 Sophie Ndaba To Host A New Talk Show. When haters are busy body shaming her, she is busy securing the bag. Together with radio personality, Mantsoe Pout , Sophie Ndaba will host a new talk show called Hashtags. The ladies will be joined by celebrity publicist, Jarred Doyle, and media personality, Francois Louw. The show will have a primary focus on social and lifestyle topics. Hashtags will air on eExtra (Dstv channel 195) on 2 March 2019 at 4pm. It’s a definite must watch. The post Sophie Ndaba To Host A New Talk Show appeared first on Youth Village.